MZM Construction & Management has a particularly interesting history. Marjorie Perry, the current President and CEO of the company, initially began her relationship with the company as a consultant. Perry was so effective in this capacity that the owners asked her to become a partner, and she subsequently became the sole principal of the company. The letters MZM represent the first initials of the original partners Michelle and Zinelda plus Marjorie. Under Perry’s leadership, MZM has grown into a profitable multimillion dollar enterprise. Perry’s experiences growing up in inner city Newark helped shape the values that drive MZM today. The company is dedicated to the values of integrity, commitment to be best, excellence and effective problem solving, all of which have helped MZM build a stellar reputation in the construction industry. Perry has a passion for continuing education which carries over into MZM’s commitment to keeping up with new industry developments and technologies that can benefit our clients. In addition, MZM is continually involved in efforts to give back to the community. Our participation in New Jersey beach replenishment efforts with the Army Corp of Engineers as part of the Hurricane Sandy recovery is just one example. The MZM team has over thirty-two years of experience working with the government, private, consumer and transportation industries. MZM has assisted developers, state and municipal agencies, private consulting groups, construction contractors, and homeowners in successfully executing their projects. Our reputation for quality and integrity has resulted in our participation in a number of signature projects such as the New Jersey Performing Arts Center, the new Meadowlands Stadium (MetLife stadium), Newark International Airport, NJ TRANSIT Hudson Bergen Light Rail, Marriott Hotel guest room renovations and many others. 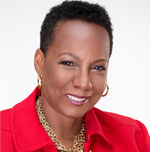 Marjorie Perry is the president and CEO of MZM Construction & Management Company, Inc. Marjorie built a career working for such corporations as 3M, Johnson & Johnson and United Airlines, before launching her own consulting firm focused on helping entrepreneurs succeed in the marketplace. Impressed by her insight and vision, MZM Construction, which was one of her clients at the time, asked her to join the business as a partner. Eventually Marjorie became the sole principal and CEO of the company. Under her guidance, MZM Construction has enjoyed over 20 years of profitable performance. Marjorie excelled in additional coursework at Rutgers, Stevens, NYU and NJIT. She received her MBA from NJIT and completed Leadership for the 21st Century at the Tuck School of Business at Dartmouth College. Her passion for continuing education carries over into MZM’s commitment to keeping up with new industry developments and technologies that can benefit their clients. Marjorie has received numerous awards and recognitions, including being listed in New Jersey’s premier business publication, NJBIZ, as one of NJ’s Best 50 Women in Business, and as one of the Top 25 Entrepreneurs in New Jersey. NJ Governor Chris Christie selected Marjorie to be a member of the New Jersey Economic Development Authority. More recently, she was announced as the SBA’s 2012 New Jersey Small Business Person of the Year.